GPO3 Accessories has good mechanical strength,dielectric strength,and excellent arc resistance. 1. 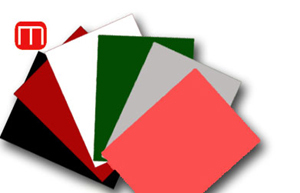 Polyester glass mat insulation accessories GPO3 Accessories . 2. 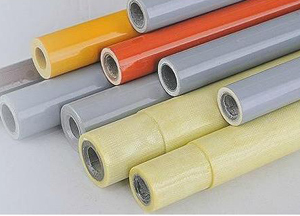 GPO3 Accessories has good mechanical strength,dielectric strength,and excellent arc and carbon tracking resistance,grade GPO3 is flame resistant.it is designed for general purpose insulation and mechanical support in electrical equipment,where a flame resistant material is required.
? a. High mechanical strength, mechanical applications and impact resistance.
? b. Can be easily processed by standard mechanical processing equipments.
? c. Available for punching, drilling, mechanical processing, and shearing.
? d. Stable size and small tolerance in thickness, could meet tolerance requirements without granding.
? e. Good electrical performance in high humidity,CTI>300V, good arc resistance(>150 seconds),excellent heat resistance, distortion temperature>240°C,Grade F hear resistance, flame resistance,America UL94V0 rating standard,no halogen, less smoke on fire,various types and specifications,?
? h. Used as pillar, beams,cable trough etc.
? i. Breaker safety baffle,safety cover board,interval liner,alternate with clapboard,arc plate of arcing chamber etc.
? j. Motor armature components and self-sealing cover-plate,slot wedge stator,calm gaskets,thin gasket,carbon brush stands,and so on.
? k. The front-end switchgear, and back-end,top and bottom,alternate with clapboard,etc.
? l. Structural parts for arc resistance and insulation support pieces. Model NO GPO-3 ? ?